Unlike the Orzhov Enchantments deck that has performed so well this season, this Esper build forgoes the Aura-based removal spells for a more typical suite of spells, including Grasp of Darkness, Oblivion Strike, and Complete Disregard (as well as both Dead Weight and two more completes of Complete Disregard in the Sideboard). 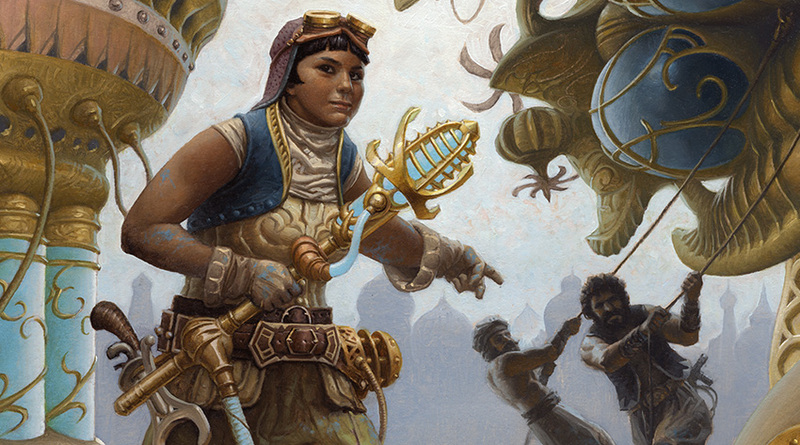 The deck has two major synergies its playing off of. 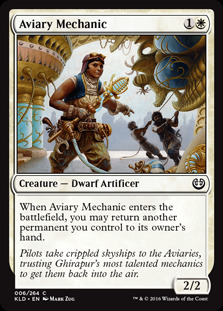 First, it can recur its value cards like Prophetic Prism and Thraben Inspector with the Aviary Mechanic. Second, it can utilize the Emerge cost on Wretched Gryff to good effect, gaining an additional creature off of Desperate Sentry or just get rid of something like a Pilgrim's Eye once it is no longer relevant. It also includes a full playset of Take Inventory for more card advantage, and a lone copy of Ruin Processor as a finisher. From the Sideboard, it can improve its matchup against Control with permission spells like Negate and Turn Aside, recur its creatures while putting another big threat on the board with Dukhara Scavenger, or gain Life with the decent blocker of Vampire Envoy. And in addition the aforementioned extra removal spells, it also includes a singleton Fragmentize as a nod to the other strong Enchantments and Artifacts in the metagame. Overall this looks like a very strong deck with lots of decent options to gain advantage over your opponent. And it certainly will be interesting to see what changes, if any, Aether Revolt brings to this archetype. In any case, congratulations once again to AlwaysFace for his victory as the Champion of Season 35! Indeed a great list. But too complex for me to pilot. I just can't saw the mechanics behind and just got blowed up.